Welcome to the Battleship New Jersey Historical Museum Society web page. The purpose of the Society was to assist and support the battleship New Jersey in the territorial waters of the State of New Jersey. 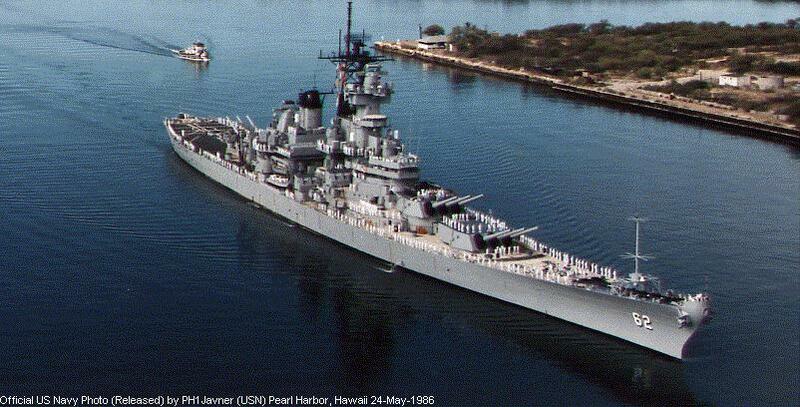 USS New Jersey (BB-62) is one of the four battleships of the Iowa class, the largest, fastest and most powerful battleships the US ever built, and among the biggest battleships ever. Beyond her imposing size and physical characteristics, the "Big J" has an unmatched record of service to her country. In 1975, a number of enthusiasts founded the Society as a statewide non-profit organization whose purpose was to bring the ship to a place of honored retirement in her "name" state. The Society's efforts were ultimately rewarded when the Battleship New Jersey Museum opened in Camden, NJ. The Society Trustees decided, given that our mission is complete, todisband the Society. We donated our remaining funds to the Museum and to the Sea Cadets who meet aboard her. We the Trustees are very proud of the hard work of our many members and supporters over the years, and thank you all for your dedication. When you visit her be certain to see the Society’s dedicated space aboard ship. The Society’s fund are being used to replace the ship’s teak decks, and will be used for an interactive exhibit on “Broadway”, the long fore-to-aft passageway where 16” shells could be transferred between the main turrets, along with repainting parts of our ship. Copyright © 1996-2016 Battleship New Jersey Historical Museum Society. All rights reserved.